Home›Features›That Metal Show Night at Vamp'd One of the Hightlights for Certain of 2014! 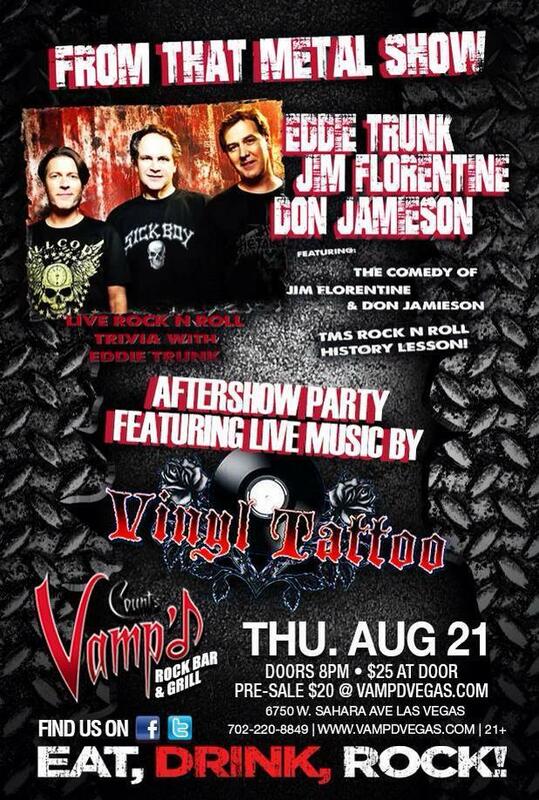 Eddie Trunk, Don Jamieson, and Jim Florentine, the hosts of That Metal Show on VH1 Classic, appeared at Vamp’d on Thursday, August 21, 2014, with Vinyl Tattoo playing an after party. When it comes to the world of hard rock and heavy metal, it is not always the musicians themselves that are doing their part to keep things alive. One such personality who has worked wonders for the world of rock and roll, keeping people interested, is Eddie Trunk. This DJ and hard rock/metal media personality, formerly an employee of Megaforce Records, has become known for his efforts to spread the word of rock and metal, old and new alike, and for his vast knowledge of the genre and beyond. 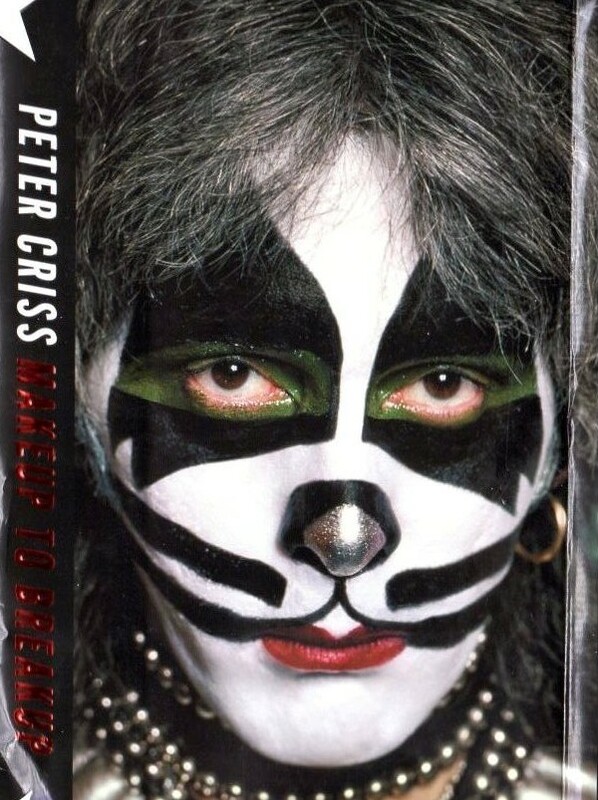 2008 saw the debut of That Metal Show on VH1 Classic, teaming Trunk up with his comedian buddies, Jim Florentine and Don Jamieson. 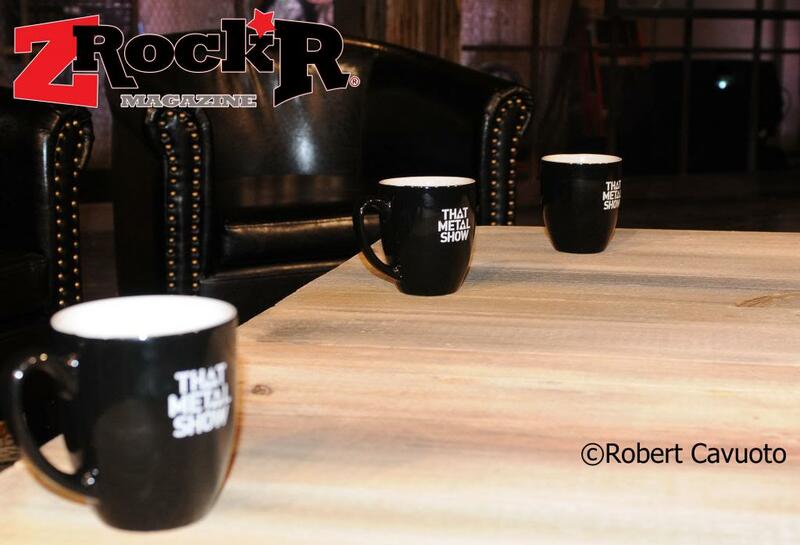 Trunk also continues to host shows on both terrestrial and satellite radio. Of course, as a knowledgeable rock and metal die-hard, I do not pass up a chance to see Eddie Trunk when he comes to Vegas! Having him out here at Vamp’d with both co-hosts in tow was going to be an even greater experience! This was not a live taping, but still sounded like a potentially fun time all around. A number of people came out to see the trio this night, and I was not surprised in the least to see the kinds of crowds Vamp’d attracted for the event. Hell, I saw people out there I had not seen in months! This alone speaks for the audience that Eddie Trunk and his co-hosts can attract when it comes to the world of hard rock and metal fans. Everyone was eager to see Trunk and company, or at least to try to stump him on some hard rock and metal trivia (but more on that later). Eddie Trunk himself started off the night with some stories about his past life and how That Metal Show came to be, as well as some of his experiences meeting and hanging with rock stars, getting to know them better over the years. One of the most hilarious stories involved going to a bowling alley with Ace Frehley of KISS fame, only to very nearly be arrested when Frehley took to bowling overhand! Perhaps even more outrageous was his story about the video clip the head of VH1 classic got, introducing her to Florentine and Jamieson, who Trunk said would make good co-hosts for the propose That Metal Show. The description he gave of this clip (and the network head’s reaction to it) it probably best left unsaid, as it was quite disgusting and offensive! Jamieson and Florentine each got to do a separate comedy set, and these were laugh-out-loud hilarious from start to finish. To put it in the simplest terms possible, these guys do not know the meaning of the words “political correctness!” Subject matter ranged from cutting off people’s limbs to male enhancement drugs and sexual encounters. You can probably guess how graphic and explicit all of this became! Following the comedy sets, the trio interviewed Angel vocalist Frank DiMino, lead singer of Angel, one of the great “lost” classic hard rock bands of the 70s (DiMino lives in Vegas now). The trio of TMS hosts also did a question and answer session with the audience, allowing them to learn more about what goes on behind the scenes, and some of the hosts’ most interesting past experiences. Needless to say, everyone’s favorite segment of That Metal Show is Stump the Trunk, in which audience member ask hard rock and metal trivia to Eddie Trunk, in hopes of winning a prize by doing so. With a line of people to stump Trunk that stretched from the stage to the back of the venue (including myself at the front of said line! ), our resident metal scholar had his work cut out for him! He was stumped more times than he was not, so the box of prizes actually went very quickly. It would have been nice to have had more prizes in the box so more people could have gotten a chance here, but as a whole everyone enjoyed themselves. The hosts came out to meet and greet with the crowd following the end of the event. 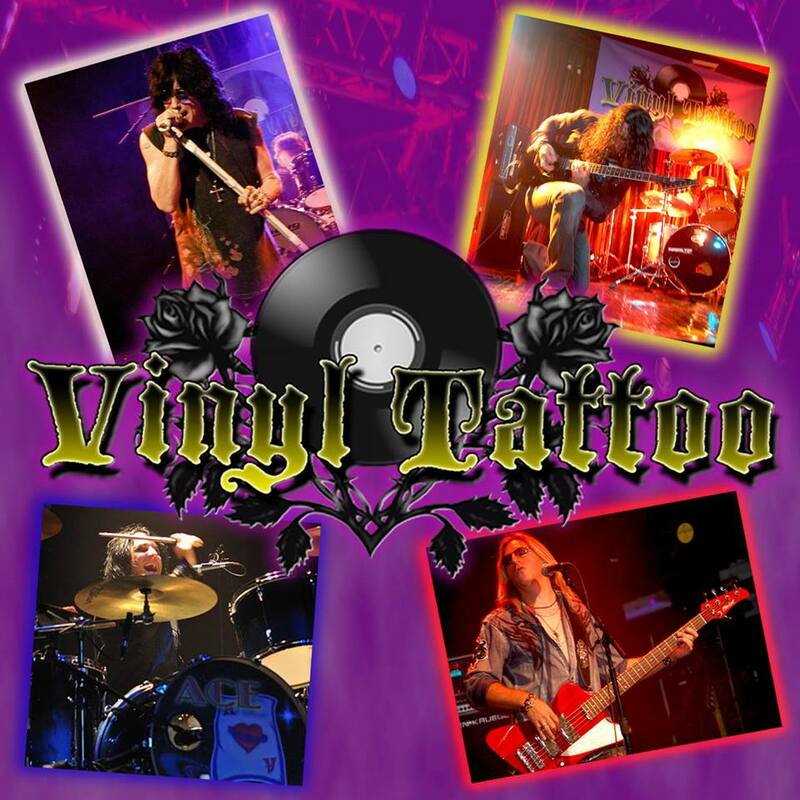 The event had an after party featuring Vinyl Tattoo, a great local classic hard rock tribute that includes Frank DiMino (Angel), Oz Fox (Stryper), Scot Coogan (Lynch Mob) and JP Michaels. The band rocked the classic hits, including some deep cuts as well! Material played included Deep Purple (featuring some deep cuts from the Coverdale era! ), Led Zeppelin, and a number of other bands as well. Plenty of people stuck around after the TMS event for Vinyl Tattoo, and clearly had a great time rocking out with them. 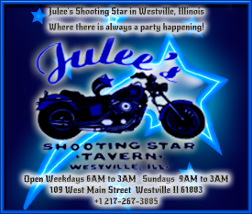 Special guests with the band included keyboardist Michael T. Ross (Lita Ford, Hardline, Raiding the Rock Vault) and Zach Throne (Sin City Sinners). Fans of That Metal Show got some great entertainment from the hosts, and a live performance by some great musicians afterwards. Hopefully these guys will be hitting up Vegas again soon (Eddie Trunk even said he’d like to begin filming the show out here)! 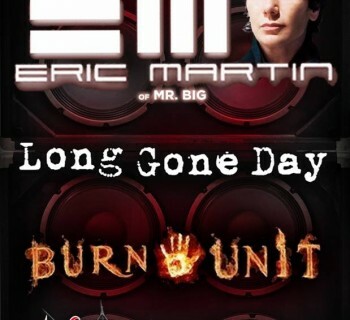 If one of these nights comes to your town and you are a TMS fan, it is well worth going. Editor's note: OK folks! Here it is! Our guy Taylor Carlson and he DEFINITELY Stumped The Trunk! 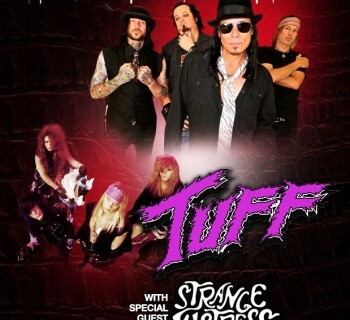 Bang Tango and Tuff - Classic 80s Glam and Sleaze Comes to the City of Sin!